On April 16th Nicole Landers found a note written by her 9-year-old son, Jared. “Kill me. I mean nothing. I have issues,” it read. Her son’s note was the culmination of months of bullying Jared endured in the classroom, said Nicole. That bullying included being struck in the face and thrown in the mud by another student. Even threats of electrocution. The Landerses spoke with officials at Pine Grove Elementary School in Carney, Maryland, where Jared attends fourth grade. Nicole and Josh Landers say their 12-year-old daughter, Tamar, has also been bullied and faced multiple instances of sexual harassment in the same school district. They say Justin, their 18-year-old son, was threatened after reporting a student with a knife in class at his school, Loch Raven High School. The Parents say that Officials at Baltimore County Public Schools are unable to provide a safe learning environment for their three children. They blame an Obama-era school discipline policy. The U.S. Department of Education noted that black students in the 2011-12 school year were <a href="https://www.manhattan-institute.org/sites/default/files/R-ME-0217v2.pdf"> <b> three times likely </b> </a> to be suspended and expelled as white students. Many argued that high suspension rates for minority students contributed to a “school-to-prison pipeline,” where already disadvantaged children ended up incarcerated. In order to address this, Nicole and Josh Landers started Parents Against School Violence, a group that is calling on Education Secretary Betsy DeVos to rescind the Obama administration’s 2014 guidance. DeVos is in the process of reviewing those guidelines and hasn’t made a decision. The Landers, however, say they don’t have time to wait. Next fall, they plan to send Jared and Tamar to private school. “We will go to whatever lengths that we have to, to ensure not only their most basic safety within the school system but also the benefit of a healthy education,” Josh Landers says of Jared and Tamar. The FBI’s deputy director acknowledged that the agency failed to act on several tips it received about Nikolas Cruz, who is charged with shooting and killing 17 people last month at a high school in Parkland, Florida. But he said an Obama-era guidance document on school discipline, designed to reduce racial disparities and the reliance on police for nonviolent offenses, played no role in its efforts to prevent such attacks. The congressional hearing follows claims by Republican lawmakers and pundits that the Obama-era guidance, issued in 2014 by the Departments of Education and Justice, has pushed local school districts to reduce student punishments or else face the wrath of federal investigators, effectively making schools less safe. Proponents, meanwhile, maintain the guidance is an important backstop to ensure that schools don’t discriminate when doling out punishments. Recall the report that recently surfaced regarding a February 14, 2014 incident where two 17-year-old Marjory Stoneman Douglas students assaulted a 14-year-old baseball player near the high school stadium. They kicked the boy, a police report said, held him to the ground and simulated a sexual assault through the teen's clothing with a baseball bat. One of the assailants was, none other than, Broward Sheriff Scott Israel's son, Brett Israel, according to the incident report. We know from the students at Parkland that Cruz was bullied. How can the FBI not put these obviously telling signs together? After all, in the incident report the boys were only suspended from the Parkland high school for three days based on the school's conclusion that they had committed a simple battery, and that the suspension was consistent with the Broward County School District's discipline "matrix." 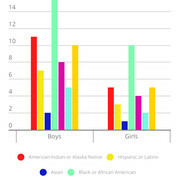 Students who have received one or more out-of-school suspension by race/ethnicity and gender. I don’t think this has anything to do with race. Obama made this a race issue for popularity and votes. He has bifurcated this country beyond any repair. I don’t see us ever reaching a compromise. If President Trump can roll back these ridiculous policies then we may have some semblance of normalcy in the school system. If kids have no consequences for their actions then there isn’t anything that will stop them. Imagine these bullies when graduating to adulthood. Obama did so much damage. It is all starting to come out now. The sad thing is, my belief is this was all done intentionally. Not just a failure of a bad policy. If these were my Kids I would home school them. I would also take them to learn self defense. There is nothing that shuts down a bully faster than to stand up to them. Most bullies are cowards. The parents are doing the right thing pulling their kids out of public school in this case. Lexy this article needs to go viral. Parents cannot wait for a suicide note to understand there is something wrong. Talk to your kids. Make sure they are not having problems at school. 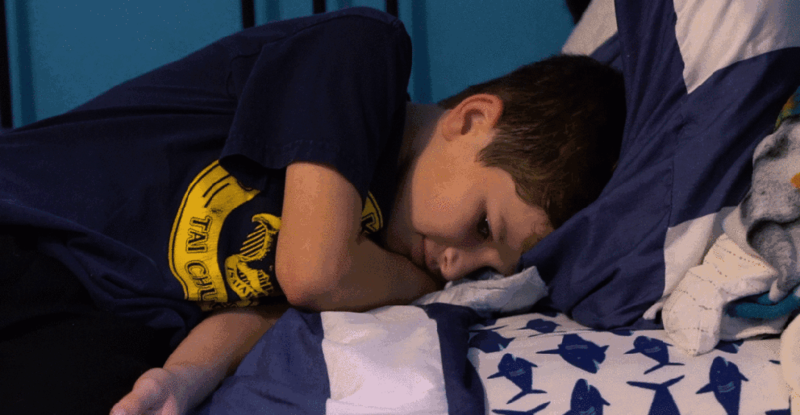 Very sad, I have a boy this age and I couldn't imagine. Obama was the worst. I don't see how this connection can be ignored.